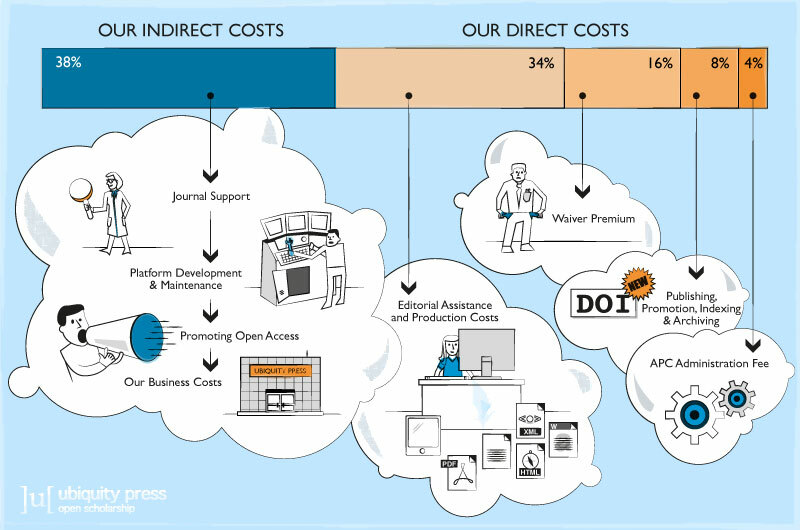 I am interested to know the cost of publishing an academic article. I do not mean in the simple sense of "what does a given journal charge an author to publish?" or "what does an association or publisher charge a library for access to the journal?" Instead, I want to know the actual costs of translating a manuscript into a final publication (for web or print). This matters for open science - and open access specifically - because there is an enormous amount of debate about the financing models for open access journals. The two dominant models are one where the end-user pays (library, reader, etc. ), which is often seen as antithetical to open science, and one where the author pays a fee after manuscript acceptance. Neither the charges paid by libraries nor the charges paid by authors necessarily illustrate the true cost of publishing an article (due to "prestige", between-publisher variation, profit margins, journal bundling, discounts, etc.). So, what is the actual cost? And what are components of that cost (e.g., copyediting, typesetting, server space and internet bandwidth, etc.)? In short, if an author (or someone else) were to express academic publishing costs on a per-article basis, what would that number be? Depending on what you consider to be the actual publishing costs (here probably the 34% editorial & production costs + 8% Indexing & Archiving) you would be looking at ~ £126 or $210. Ubiquity don't break their indirect costs down into server/platform costs; this all goes into the 38% indirect cost column. @Thomas a combination of very high profit margins for the major publishers (30-40%+, higher than almost every other industry) and systematic incompetence and inefficiency. PLoS is a little different: they charge more in order to invest heavily in outreach, campaigning, and waiving fees for those who can't afford them. This is excellent. I'm now left to ponder why APC's at general, high-profile journals (Science, PLoS, etc.) tend to fall in the $1000-$5000 range. +1 for infograph, makes learning fun! It depends to an extent on how technically-savvy the author community is, and thus what services they need or do not need to be done for them. For computer science journals, the cost of production is extremely low because authors can typically be expected to do their own typesetting. An efficient, peer-reviewed, top quality journal can thus be run at a cost of just $6.50 per paper. There is an excellent, detailed breakdown of this figure given by Stuart Shieber about the Journal of Machine Learning Research (JMLR) here. I agree, that would be very illuminating. The more data from a variety of journals and disciplines the better! The closest thing that I was aware of (before reading the other answers - thanks for these) was a report about SciELO. It states that, for Brazilian journals within their portfolio, it costs about USD 200-600 per article from submission via peer review and publication to dissemination and archiving. Considering the overall operation of the SciELO Brazilian collection, including the costs related to technical co-operation for the development and interoperation of the other national and thematic collections, the online up-to-date publication of the entire collection averages about US$90 per each new article. This estimate includes the actual publishing of the new article ($56 per article, or 62% of the total cost); the operation of the SciELO network portal ($4.20, or 5%), which provides access and retrieval to all of the collections, journals, and articles; SciELO governance, management, and technical co-operation ($2.90, or 3%); the development and maintenance of the technological platform ($22.70, or 25%); and the marketing, dissemination, and expansion of the network ($4.20, or 5%). Alternatively, if the complete editorial flow, from the reception of manuscripts, the peer-review process, editing, and the online SciELO publication, is taken into account, the total cost for each new SciELO Brazilian collection article is estimated to be between US$200 and $600. I know this doesn't refer strictly to the final version of a paper, but the arXiv pre-print server provides a useful bit of information to contribute to this discussion. According to it's site, it receives around 76,000 publications per year. It's operating costs are on the order of $826,000 per year. You do the maths, and it comes to just over $10/article. This isn't with any of the bells and whistles that come with traditional publishing, but provides a nice baseline estimate of what it takes to publish a research article online. TL;DR: with 5 papers per issue, the cost per paper is around 1000$, for a law journal. By comment: the price is probably lower for fieds where authors are using latex or similar text processing tools. Can you include more of the relevant information from the article, such as the cost breakdown?